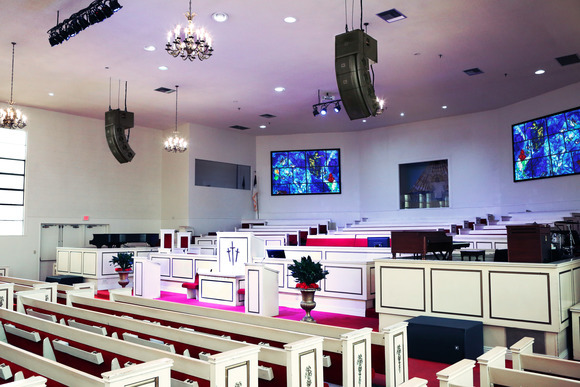 GAFFNEY, South Carolina, USA - Central Baptist Church in Gaffney, South Carolina recently became one of the first houses of worship in the world to adopt Soundcraft's new Si Impact digital mixing console. 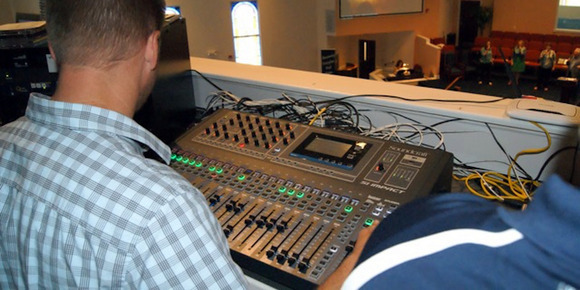 The Si Impact caught the attention of the church's Media Director Terry Harris, who was looking for an easy-to-use digital console to handle the mixing of the church's services. 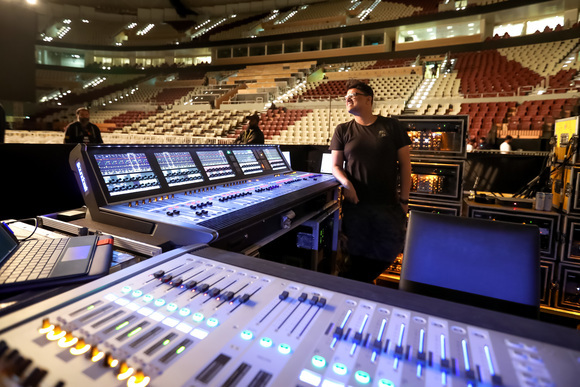 Harris is a longtime Soundcraft fan and the church recently went fully live with the Si Impact for the first time. "We looped the pastor and worship leader's mics through the Si Impact and then back to the analog board we were using, just to play with it," Harris said. "I have been amazed at how simple it is and also how easy it has to transition from an analog board." The 40-input Si Impact provides 32 mic/line inputs, 40 DSP input channels (32 mono inputs and four stereo channels/returns) and 31 output busses (all with full DSP processing and GEQ) with 20 sub-group aux busses and four mono/stereo matrix busses. Eight XLR/quarter-inch combi-jacks are available for line inputs and instruments, while a 4-band fully parametric EQ is available for each channel and bus. The Si Impact also offers studio grade effects and dynamics from Soundcraft's sister companies BSS, Lexicon and dbx. Among the Si Impact's many features, Harris has found utility in the FaderGlow™ fader illumination system. "The way the board uses color to keep you positioned is brilliant," Harris noted. "Even our most ardent anti-digital operators are now in love with Si Impact. We were able to do everything we did with our old analog board on our first day using it ... and more!" 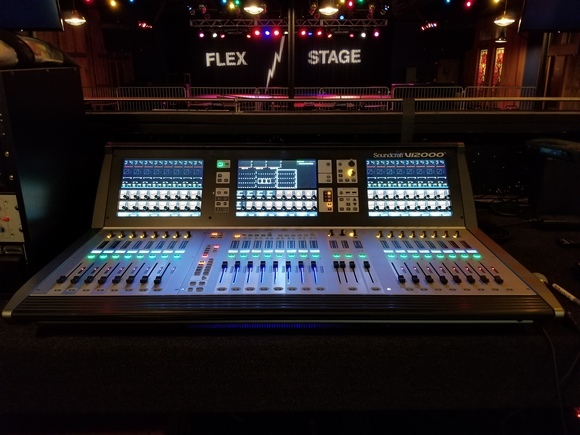 Harris is also utilizing Soundcraft's ViSi iPad® application, which allows for remote control of the mixing console via an iPad device using a wireless router. This offers Harris an unprecedented level of freedom that enables him to mix the sound from anywhere within the church. Harris believes the Si Impact is a perfect product for the church market. "The simplicity of the board and the benefits of the digital technology is a whole new experience for us," he said. "None of our operators has any experience with digital mixers except for me, and my experience is very limited. However, the transition has been seamless."